Why bottle water use shrink label than sticker label? 6000BPH Auto Water Bottling line has advantages of high automation level, compact structure, beautiful appearance, convenient and simple operation, safe and reliable and adjustable continuous production capacity and others. 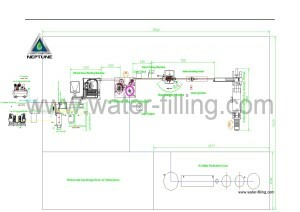 It is mainly suitable for bottling of round or square polyester bottles. According to the demands of different specifications of users, it is only changed a little in design to meet the user’s demands. Why bottle water use shrink label better than sticker label?